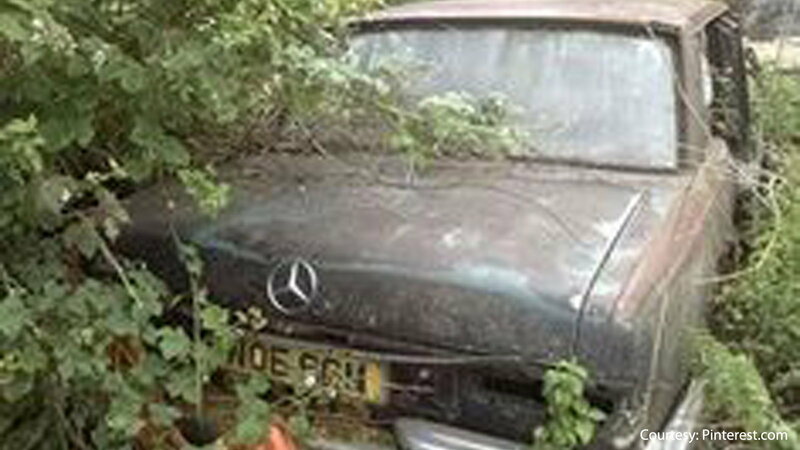 This Mercedes looks intentionally abandoned. 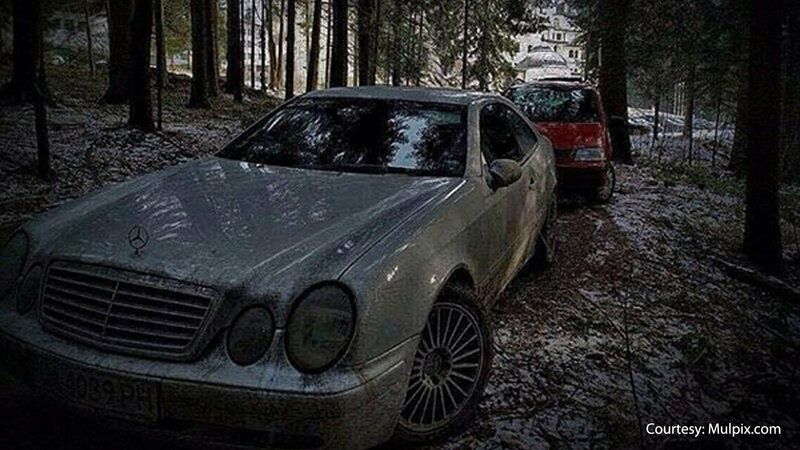 It seems like a psycho killer stole it and drove out into the woods to hide out. If this was a horror movie, some college kids out camping would get a nightmarish surprise. 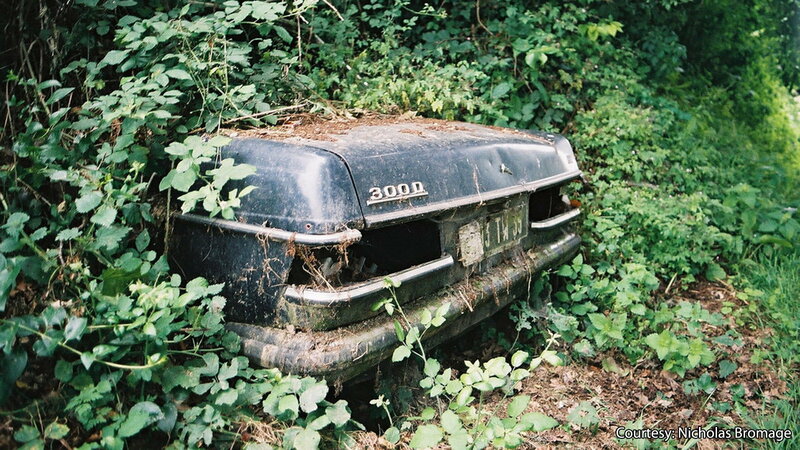 >>Join the conversation about creepily abandoned Mercedes-Benz vehicles right here in MBWorld Forum! This looks like an accident that left the Mercedes to fend for itself. 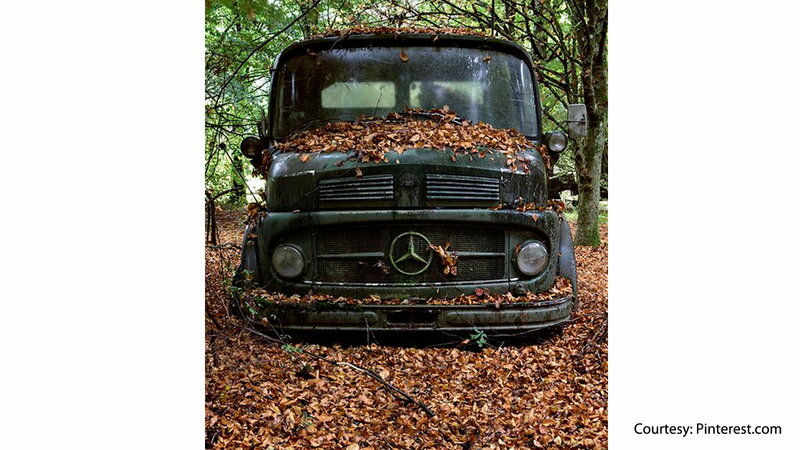 This Mercedes-Benz didn't have a chance; it now belongs to the woods. The G-Class is an off-road God, so it's too bad that this one was left to never be driven again. At least at rest, it's in its natural habitat. This poor soul looks to have been left for the world's environment to consume. This would bring shivers across the back of any hiker stumbling across it. 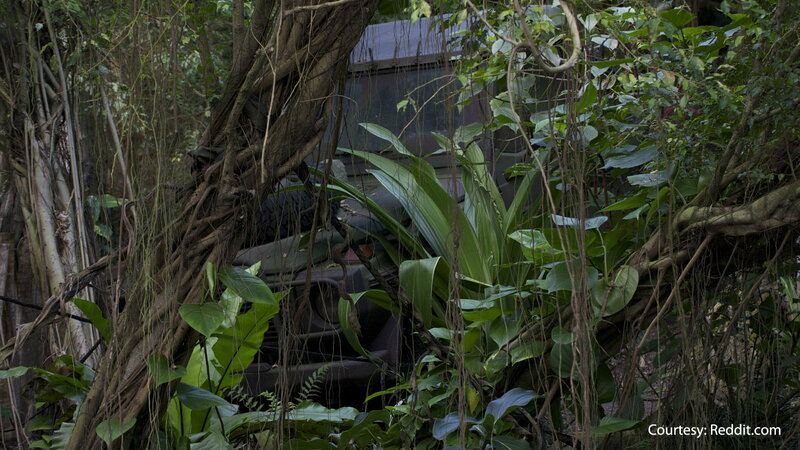 Whoever left this once-beautiful car could still be running wild within the shadows of the woods. The houses behind and the extra car might make this a normal scene. Even the guy inside the red car looks promising, but what happened to the front of the Mercedes-Benz? It looks like something scared this Mercedes driver so badly that he/she ran on foot. Or, it could just be a regular day in the woods. 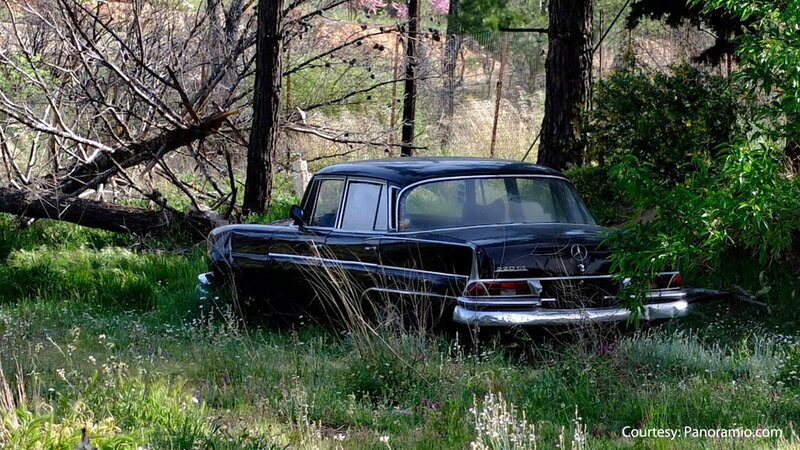 If the weird creature from Jeepers Creepers knew the value of driving a Mercedes-Benz, then this abandoned vehicle would be its first choice. Hopefully you don't find yourself driving by the woods and find it staring at you in all of its creepy glory. For information on maintenance and repairs to make sure your Mercedes-Benz is always running in top performance, visit our How-to section.